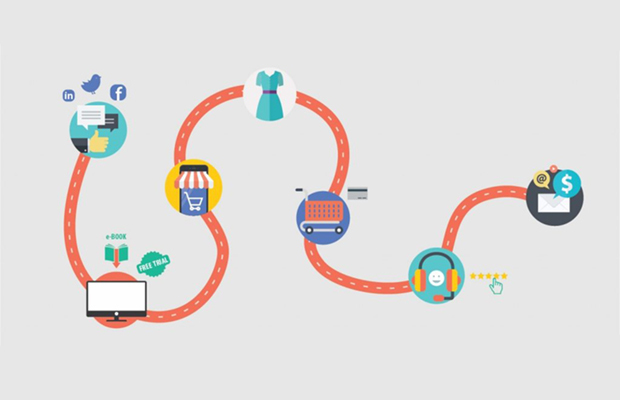 What is a Customer Journey? | SeedX Inc. If you’ve been in business for a while, you know that getting new customers is not easy. No matter how attractive your product or service is, you should understand the customer journey. To fully understand what the customer journey is we will explain how customers make their decisions. Then, we will focus on explaining the customer journey in detail, as well as what type of content you should place at every stage of the process. Buying decisions are rarely based on logical criteria alone. The motivations behind customers’ purchasing behavior are driven by a complex interplay of demographic, geographical, psychological, neurological, economic, social, cultural and personal factors. The decision process starts with the recognition that there is a need. This might be a valid physical need – for example, a person may gain or lose a significant amount of weight and need to purchase new clothes to fit. Someone might be starting a new job where they are required to dress in a certain way, or a couple may be planning a wedding and therefore need to purchase appropriate clothes and accessories. The need could also be cultural. For example, a person moving to a foreign country where the convention is to dress more modestly may need to buy a long skirt or a top with sleeves and a high neckline. However, most likely is that the need will arise at a subconscious level. Back to the clothing example, if bomber jackets are trending, a person might think that they should get a bomber jacket as well if they want to catch up with current trends. Once a need has been established, the next stages are to search for information and check out and evaluate options. This usually occurs by going online or by gathering opinions from friends. During research, a potential purchaser may decide upon a selection of brands from which to choose. The brands in consideration for the consumer’s purchase are known as the consideration set. We’ll now explain each stage. When customers recognize they have a need for a certain product or service, they start searching for more information and they identify the available options. To consider your product as an option, they should be aware of your brand. Think of the awareness stage of the customer journey as your first impression. Building awareness requires a nuanced understanding of your audience – such as which channels they use, their frequent pain points and typical needs. For some sectors and channels, a well-planned brand promotion will reap rewards. For most channels though, engagement via user-published and shared content works better than regular promotion. No matter what you choose to do, the most important thing is to provide value to your potential customers during the awareness stage. That way you are building trust and rapport with them. Note that none of the other stages of the customer journey won’t matter if you are not delivering well in the awareness stage. Whether you are undertaking engagement or promotion work, it is paramount to establish an integrated content strategy across both digital and traditional media. Your messages should be consistent, informative, and searchable across all channels. Simply put, your job during the awareness stage is making an effort to understand the customers’ problems and needs and providing information and resources that will help them resolve the issue. What type of content should you deliver in the awareness phase? -How To’s – Whatever industry you are operating in, research the trending questions people are asking and create how-to guides that will help them resolve their issues. –Industry Reports – Conduct a research that will be useful for your prospects and provide them with the results. This might be especially useful if you’re a B2B company. –E-Books – Do you have a lot of materials and guides regarding the relevant topic? Put them in one e-book and offer it to your website visitors in exchange for their email address. –Checklists – If you’re writing a guide or a how-to article, create a branded checklist that your customers can download from your website. –How-To Videos – Creating how-to videos is useful if you want to showcase how your product works and how it solves certain issues your prospects might be having. Now that you have your potential customer’s attention, it’s time to focus on the second stage of their journey! Once you have encouraged your potential customers to visit your website, social media channels or a physical shop, analyze their initial interaction to get the information for your next move. Which touch-points did they use? What content did they download? At this stage, engagement is crucial. Encourage users to communicate with your brand by asking for questions and feedback. Provide helpful FAQs, downloadable information or online surveys that would enable your website visitors to engage with you. The next stage in the customer journey is the consideration stage. By now, your potential customers have done their initial research and are aware of some of the products or services they can choose from. Nevertheless, the research phase is not over yet. They have narrowed down their options, but they are still going to search for more information. This is the stage where they are comparing available products or services in the market. They are doing price comparisons, reading customer reviews, checking out product features, and learning more about the ways they can use your product. Now that you are aware that your customers are going to compare you with your competition, it’s important for you to take a step back and consider if you are positioned the way you should be. According to Nielsen research, 80% of customers seek peer referrals before making a purchase. Direct referral from a member of family or from a friend is the best tool that you can use, but if that’s not possible, you can rely on press articles, demo videos, blogs and reviews on your product pages. -Is my product or service offering understandable? -Is my brand easy to find online? -Are the benefits of my product or service clear? -Is the price of my product or service competitive to similar offerings in the marketplace? -What makes my product or service better than its supplements? -Is my competitive advantage clearly stated? During the consideration stage, potential buyers might reach out for more information via your website forms, by calling the number on your website, or by engaging on your social media channels. When they do, answer their inquiries in a timely manner and don’t leave them hanging for days. What type of content should you deliver in the consideration phase? -Product Webinars – If your product is a software, you would want to create a short webinar and teach your potential customers how to use it. -Case Studies – Did your product help many other people or companies to solve an issue? Create relevant case studies! -Samples – Free samples are one of the best ways to attract new customers. For example, if your product or service is a software, offer a free sample by giving a one-month trial period. -FAQs – Frequently Asked Questions can save you so much time! Make a list of questions your customers are asking and provide the relevant answers on your website. -Demo Videos – No matter what your product or service is, you can always create a demo video to engage with your customers. If you did this phase right, then your potential customers are now your buyers! In the purchase phase of the customer journey, your potential customers are ready to select from their options and to make a purchase. By now, the potential has done all the research he or she needs to to make a decision. At this stage of the customer journey, customer reviews are crucial. Showing case studies to your potential customers at this stage is very beneficial and will answer the question why should they choose your brand. Social proof that your product or service actually does what you say is imperative. Analyzing purchase is vital to understanding your customer’s behavior and for delivering an excellent buying experience. Knowing which channels were used to make the purchase, how long it took and how satisfied your customers were, can be valuable information to help you improve the experience for your future customers. What type of content should you deliver in the purchase phase? -Free trials – Not every business can offer a free trial, but if you are able to do so, go for it. -Consultations – Customers might have some questions regarding your products or services before they make their final decision. Make it easy for them to do so, especially if your product is a bit pricey. -Coupons – Coupons are a great leverage because you are offering some benefit that your competitors might not, such as a discount or free shipping. -Customer reviews – As mentioned, social proof that your products are solving the issue you claim they solve is crucial, so enable customer reviews on your website. When people make a purchase, send a follow-up email and ask them for a short feedback. If you’re at this stage with a customer, you did a great job! But the customer journey does not end with a purchase – you should do everything in your power to create a strong relationship with your buyers because you want them to return and make a purchase again. The retention stage of the customer journey is probably the most important stage. Why is that? According to Harvard Business Review, acquiring a new customer can be up to 25 times more expensive than keeping old ones. Building a strong relationship with your previous and existing customers can reduce costs and increase your revenue. In fact, increasing your retention for only 5% can increase your profit by 95%! If someone already purchased from you, you have enough data to market them more affordable. You will be able to lower your ad costs while increasing your profits by remarketing to customers who are already familiar with your brand. Post-sale engagement activities can include sending further value propositions, product or service updates via email or offering compelling content on your website or social media channels. -Surveys – When someone make a purchase, send a follow up email in which you’ll ask them to fill in a short survey. Ask them whether they -are satisfied with the entire process and take their feedback seriously. -Testimonial requests – Also, when sending a follow up email, ask your customers to write a short testimonial about your product or service. -How to’s on using your product or service – If your product needs a bit of introduction before using, send a how-to video or guide to teach your customers on how to use it. Lastly, you want your customers to become loyal to your brand. The last stage of the customer journey is also the hardest one to achieve. In this stage, the customer becomes an active advocate for your brand. They say great things about your company, they refer their friends and family to you. Shortly, they generate the most powerful kind of advertising your company can ever have – word-of-mouth. To get your customers at this stage, you should nurture them every step of the way. Reward loyal customers with appealing promotional offers! Customers also love sharing good experiences – ask them to write reviews and testimonials that can be used for PR purposes, blogs, email marketing or social media posts. On social media, keep engaged with loyal customers, because they are more likely to share your content. The more that you are aware of the importance of the customer journey, the more customers you’ll be able to get. Take our advice and focus on creating great content for every stage of the journey to see some skyrocketing results!